Gingivitis, tooth decay and various periodontal diseases are extremely common dental problems that affect millions of Americans today. While patients can turn to various forms of dental restorations, periodontic treatments, and endodontic therapy, the best method of safeguarding your teeth is maintaining proper oral care and making regular appointments to your dentist. Cleaning your teeth regularly reduces the risk of common and pervasive dental problems, such as plaque, which leads to gingivitis, oral diseases and eventually tooth loss. 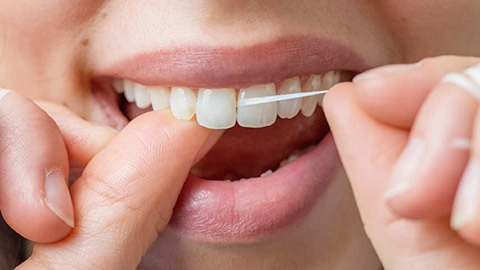 In addition to flossing and brushing your teeth regularly at home, visiting your dentist for routine cleanings and checkups effectively preserves your dental health. Our dental team removes plaque from your teeth through scaling and polishing. We also teach patients how to properly brush and floss their teeth at home. Oral cancer is listed as one of the most common cancers in the world because it is difficult to diagnose in its earliest stages. That’s why we perform a number of different tests and treatments that allow for a thorough and complete diagnosis. We screen for risk factors with cancer biopsies, visual and in-depth screenings, x-rays, and a thorough evaluation of your medical profile and history. It is during these check ups that we identify any hidden abnormalities, lesions, red patches, lumps or sores, all of which may be signs of developing oral cancer. Other tests and treatments are used for other dental issues and problems. For instance, dental sealants are used to prevent dental caries from being formed in the mouth. A dental sealant is a piece of plastic that can be covered to protect a tooth from tooth decay. It is vital that you maintain consistent oral hygiene, such as brushing and flossing, as well as visiting your dentist regularly for cleanings and checkups. Doing so not only helps your teeth stay clean and healthy, but significantly lowers the risk for oral diseases, such as cancer and dental decay. We’d be happy to book an appointment with you today. If you need more information about Oral Hygiene/Cleaning in Coldwater, contact us today.